Click Here To Listen To Author Robert Bader on Gilbert Gottfried's Podcast! 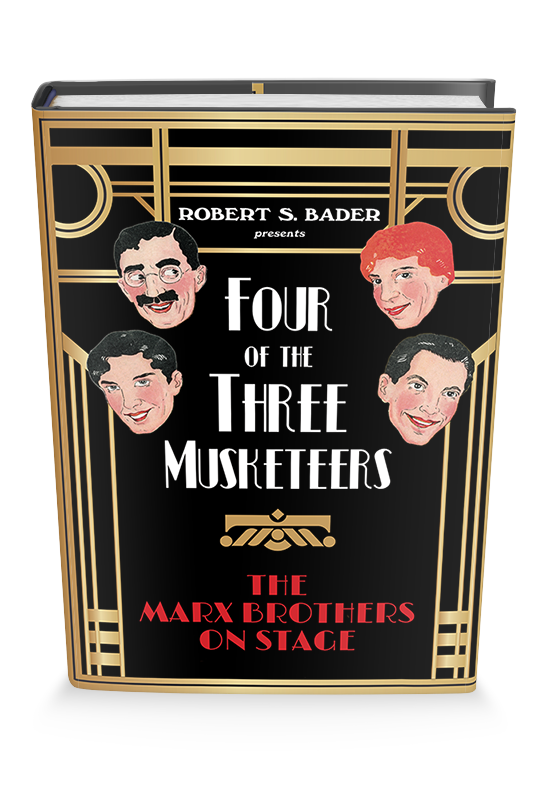 “A new benchmark in Marx scholarship"
The Four Marx Brothers opened at the Maryland Theatre in Baltimore on a bill with Will Rogers on this day in 1915. The Three Nightingales – Julius Marx, Milton Marx and Mabel O’Donnell – gave their final performance at the Bijou Theatre in Fichburg, Massachusetts on this day in 1908. Hear Vaudeville Songs and Stories! Vintage recordings of songs the Marx Brothers performed in vaudeville by the original artists, and some recollections of the period by Groucho.